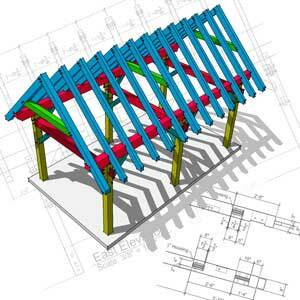 Are you just getting started learning about timber frames? That’s great, this page has been designed especially with you in mind. We’ve gathered resources throughout our website and elsewhere on the internet that we feel will help you get started in learning about or getting a timber frame. One of our goals is to help you make the best decision in regards to your timber frame construction project to make sure it goes as smoothly as possible for you.